A joyous celebration where all living things praise their creator. all sing a song of praise. 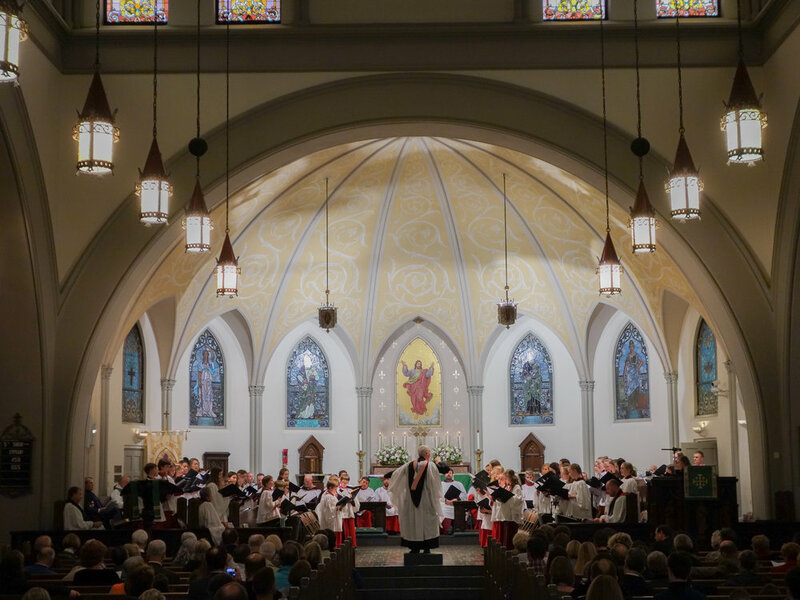 The anthem was commissioned for the 2018 Knoxville RSCM Treble Festival by St. John's Cathedral. Choir members- 3rd grade through high school, from area Knoxville churches. Guest conductor, Ben Outen. Organist, Eunjin Choi. the buzzing bee, so small. as piglets join along. Oink! Frogs on logs hum jug-a-rum. days on days on days. and stars that glow at night. The seasons sing with wind and rain. They whisper soft with snow. God made them circle so. The young, the old, proclaim their praise. and clash and clang and ring. With nimble feet, they dance, rejoice.